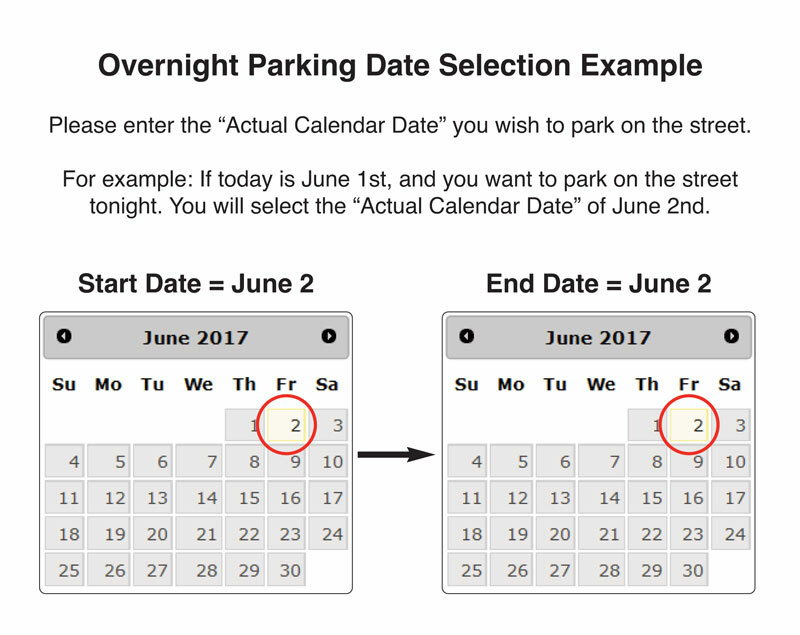 Overnight parking is allowed to a maximum of 2 calendar days per month. All vehicles receiving overnight parking permission Must otherwise be parked legally. (i.e. not in violation of posted signs, fire hydrants, and other laws, etc.) Citations issued between 2 A.M. and 6 A.M. will be valid if the citation issued is prior to the time you requested parking permission.